The great Robert Mitchum reflects on Lusus Naturae. 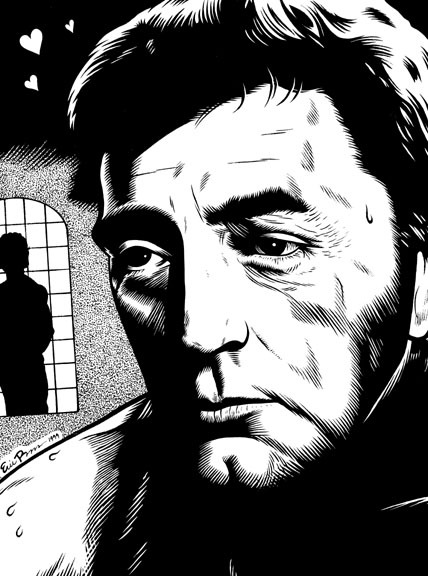 From the upcoming book LOVE POEMS FOR ROBERT MITCHUM by Robt. Peters. 1999. Image area measures 6 by 8 inches.